Attention Investors. 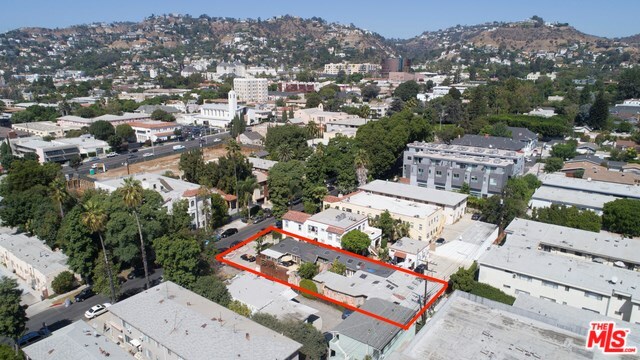 Prime West Hollywood income property/development opportunity on a sizable 7550 square foot R3 lot with the potential to build up to 8 market rate units when utilizing density bonus for adding one lower income unit. Current configuration consists of three unique bungalow-style units, each with their own private courtyard patio entrance, perfect for individuals looking for an eclectic/artist retreat vibe while still being located in the center of dining, entertainment and convenience. Interior two bedroom unit currently unoccupied and will be delivered vacant at the close of escrow. An exceptional offering with multiple income-generating possibilities.